Can anyone tell me how you can become a reviewer for a particular area? I have made numerous edits over the past couple years but it seems that noone ever approves or rejects them. 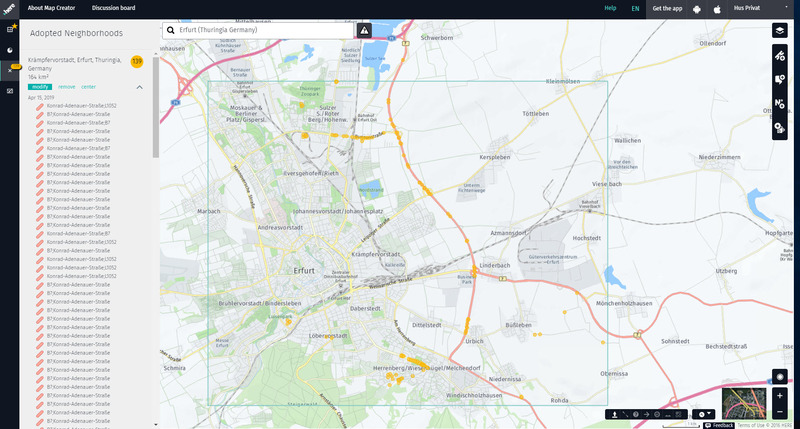 In map creator the left hand side menus “What’s New”, “Your Stuff”, My Adopted Neighborhoods, & “Your Geospace”. Chose “My Adopted Neighborhood” and define the area you are prepared Adopt for review. I did this but it only shows me the review such as businesses that are closed an so forth. It does not show me the road edits that myself or anyone has suggested in that area so I am unable to approve or decline those. After assigning to an area via “My Adopted Neighborhood”et email notifications aboutchanges within this area regarding all editable features: Places, Roads, Haousenumbers.